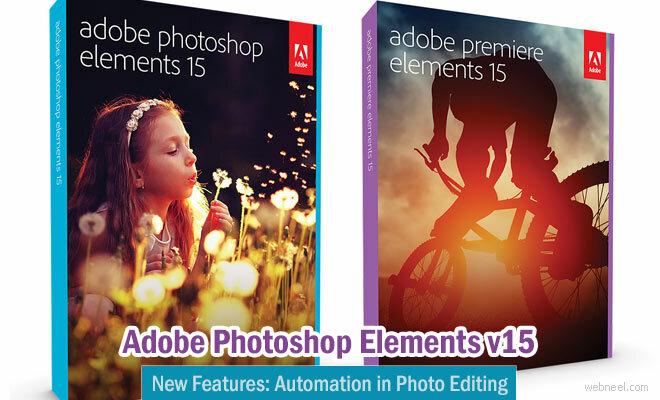 The Latest version of Adobe's consumer-oriented Photo-editing software Photoshop Elements 15, has been launched. This update gives way for more automation in photo organisation and editing. The latest addition to Elements 15 , however, is a facial editor that recognises parts of the face and allows you to adjust each one individually. The clone stamp and healing brush for removing small spots, selection tools, and even adjustment layers with masks to apply edits to only portions of the image are still intact in the new interface. Photoshop Elements 15 is touch enabled, which simplifies to manage your photos with touch of fingers on a touchscreen computer. There is new enhanced search feature which helps search places, events and other subjects. The Quick mode tool box has only a few options, but still includes the healing brush, red eye tool, and crop tool. The latest version's guided mode is where many new features are in. New tutorials help users create text filled with a photo, paint modes, collages, and custom frames. Speed Pan , the most realistic new effect, digitally mimics the technique of moving the camera with the subject to blur the background and keep the subject sharp. Photo Text (turning photos into visual text), Painterly (turning photos into art), an enhanced Filter Gallery (one click photo filters and fine-tuned details), Effects Collage (adding multiple effects to one photo), and Frame Creator (making custom frames for your photos) are few more features added in Elements 15.